BBC NEWS | UK | UK Politics | Who's the new Mondeo man? 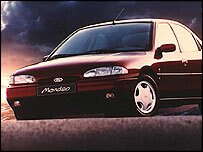 Who's the new Mondeo man? Beware, you could be a target. Hired gangs - and many who do it just for fun - are going from street to street trying to pick people off. It could be your car, your job, your house, perhaps your age or what you like doing in your spare time which marks you out by the party profilers looking for swing voters to bombard with a mass of persuasion. Let the people decide... but which people? The political parties have limited time and, by law or just fundraising restraints, only so much they can spend on their search for power. So they are training their sights on one objective: finding the people who really can decide the next election, traditionally known as swing voters. In America, the Republicans' Voter Vault database used information about everything from people's shopping baskets to their neighbourhoods to identify who to target with mail shots, visits, even messages from President George Bush. The vault software apparently decided Volvo drivers were making a statement about their outlook on the world and so much less likely to vote Republican. Experts believe the UK's data protection laws mean the American example cannot be precisely replicated here, but some are at least moving in that direction. Until now in the UK, the biggest weapon in the armoury of the parties' election whiz kids seems to have been an abundance of alliteration. Remember some of the previous groups we were told were going to be the ones to pick our next prime minister? Pollsters ICM came up with the phrase Pebbledash People. The organisation's head of society and government, Martin Boon, said the names were only a "public relations side effect" of what was hugely expensive and based on several pieces of data. It seems the next general election, widely expected in May, will have its own catchphrase. The Conservatives have identified four particular groups, according to a recent report in the Times newspaper. They include the twentysomething urban elite marketers are nicknaming "Ben and Chloe"; and families living in deprived former mining and dock towns who felt betrayed by Mrs Thatcher, dubbed "Lee and Noreen". The Tories have their own version of the Republicans' Voter Vault, which has been much trumpeted by party chairman Liam Fox as allowing "bespoke campaigning". It links information bought from a private company - using census data, lifestyle questionnaires and other data - to the registers which show both who can vote and who voted last time round. Rather than labelling people as swing voters, the model ranks people in order. So if 30% voted for the Tories in a particular constituency last time round, they could assume they are the top 30% of the profile and concentrate on the next group down. Officials acknowledge the system is not perfect but they believe it can help concentrate campaigning resources and direct the party's call centre. They also know that spending all their campaign funds on direct mailing and cold calling the target voters at the expense of their national campaign would produce negative headlines. Labour has its own database, called Mosaic, but its election strategists stress there is no substitute for face-to-face campaigning. A party spokesman said Labour would try to identify potential supporters by canvassing on foot or by phone and gauge their key concerns. "For every potential Labour voter we identify we want to talk to them six or seven times between now and the next general election," he said. The spokesman accused the Tories of putting too much faith in "voodoo software" because they did not want to talk about the real issues. Some election experts are deeply sceptical the key groups of voters can really be identified. After all, they ask, if more than a third of the Sun's readers voted Labour in 1992 when the newspaper was vigorously pro-Conservative, what chance is there that shopping habits will reveal party allegiances? John Curtice, from the University of Strathclyde, says: "When you look from one election to another you tend to find the movements [between parties] are relatively even across the social structure." In other words, the swing to Labour, for example, is about the same among middle class voters as it is among working class voters. 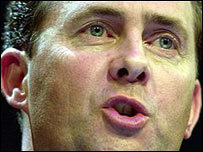 The exception was when Labour transformed its social appeal at the 1997 election as it recruited many more middle class supporters. Liberal Democrat election strategist Lord Rennard disagrees - he points to how his party at recent elections has seen its national vote change only slightly but big swings in key constituencies have won it seats. The Lib Dems may be unable to afford some of the databases used by Labour and the Tories but Lord Rennard suggests there is a different and more effective way of pinpointing targets. "We rely a lot on local data, gathering local information which involves activists and old fashioned door step canvassing, local phone banks and local databases of supporters and issues of interest," he says. Peter Kellner, from pollsters YouGov, says there are two types of swing voters: those undecided about how to cast their vote, and those not sure whether they will vote at all - with the second group becoming more important with lower turnout. 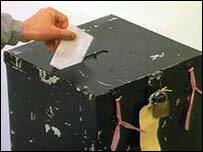 It all means your doorbell, phone or postman could be in for a hammering as the campaigning reaches top gear.